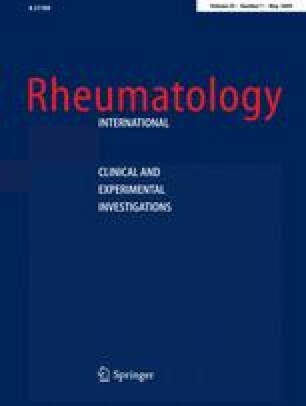 The aim of this cross-sectional study was to evaluate the frequency of intestinal inflammation and its association with disease activity, functional status and quality of life in patients with ankylosing spondylitis (AS). A total of 25 patients with AS had undergone ileocolonoscopy and concomitant histological study. Clinical and demographical parameters, BASDAI, BASFI, and SF-36 scores were compared between patients with and without macroscopic gut inflammation (MGI). Colonoscopic study revealed MGI in 9 patients and macroscopically normal gut mucosa in 16 patients. On histological examination, of 25 patients 20 had gut inflammation, mostly in ileum. BASDAI score was higher (P < 0.05), SF-36 pain and physical scores, and chest expansion measurement were lower (P = 0.00, P = 0.01, P = 0.01), duration of morning stiffness was longer (P = 0.01) in patients with MGI. Serum C-reactive protein, erytrocyte sedimentation rate levels were similar between groups (P > 0.05). There is high prevalence of histological gut inflammation in AS patients. More active disease should suggest gut inflammation in AS patients.